The plants in our native plant nursery are grown by horticulturists, with strict attention paid to producing a plant with healthy roots. Many of the plants we carry are rarely offered by other nurseries. Some are grown from seed, a process which can take up to three years from seed to sell-able plant. We limit the use of chemicals, hand weeding our plants, and managing many pests with organic or natural methods. Our plants are not forced with growth hormones, we use minimal pesticides in the nursery, and practice Integrated Pest Management. We do not use systemic pesticides. Our plants are safe for visiting bees, insects and wildlife. We offer container grown native trees, shrubs, grasses, ferns and wildflowers. Whether you are working on a home landscape, woodland, wetland, hedgerow, or rain garden we specialize helping you match the right plant to the right place. We provide detailed signage for each plant to help you make the correct selection for your garden. Small scale contract growing is available, please inquire. Gift cards for use in the nursery are available. They can also be used for consultation services. 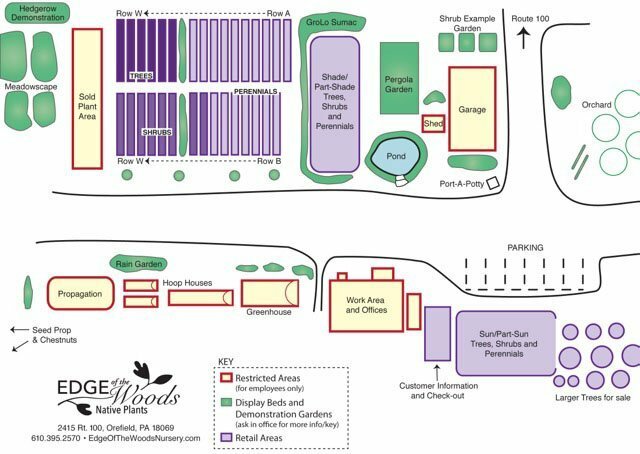 Here is helpful information for your first visit to the nursery. Join one of our nursery tours. If you have never been to the nursery before and would like a personalized orientation tours are available. We now offer Native Plant Starter Kits. Click for more info. If you know exactly what you are looking for and planning a purchase of more than 50 or so plants, we can have an order ready for you when you arrive. Please fill out the contact form here. Landscape and design professionals seeking a quote on plants, please fill out this form. 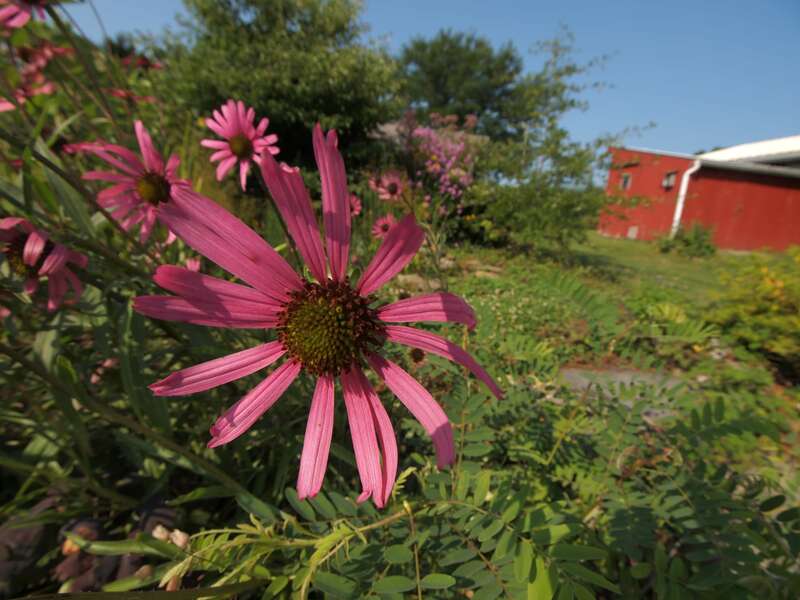 We look forward to your visit and to helping you learn more about native plants.